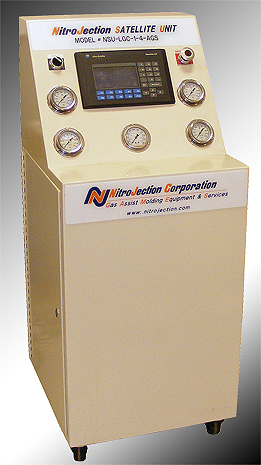 Gas Assist Equipment: Recertified by NitroJection – Save up to 50% compared to new equipment! 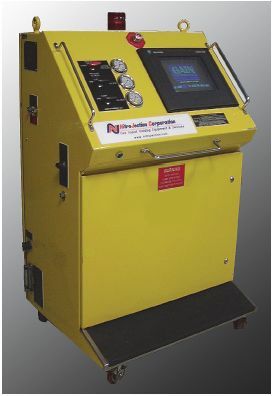 NitroJection Corp. is pleased to introduce an expanded product line now including recertified gas assist injection molding controls. These products include gas assist controls acquired through trade ins, direct acquisition from molders or bought at auction. Our product offering will include gas assist systems from other manufacturers, but in all cases the controls are thoroughly inspected, pressure checked, tested and repaired if required. They are then recertified to perform to their original specifications. In some cases newer options will be installed to enhance the original performance.These systems are offered on an “as available “basis. This recertified line of equipment will allow molders to obtain or expand their gas assist molding capabilities at up to a 50% cost savings. 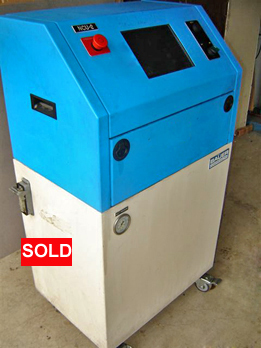 All recertified equipment will be backed by NitroJection Corp. for warranty, services and repairs.We currently have the following gas assist processing units available, which have been pressure checked, tested and are in full working condition. Recertification complete – available to ship. 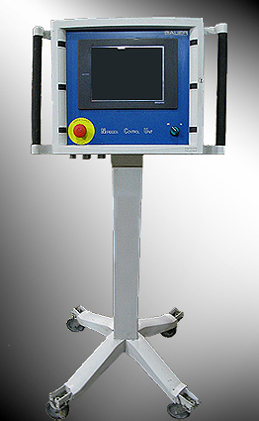 Model# NCU2-V2, 2-valve gas assist controller with pressure ramping, autopurge, real time trend graphing. In Re-certification – Soon to be available – call! G120 System Compresses nitrogen gas from cylinders, liquid or generators with incoming pressure as low as 2 PSI! Maintains constant output flow. G120 Three Stage High Pressure Gas Compressor for gas assist molding or any inert gas pressurization. 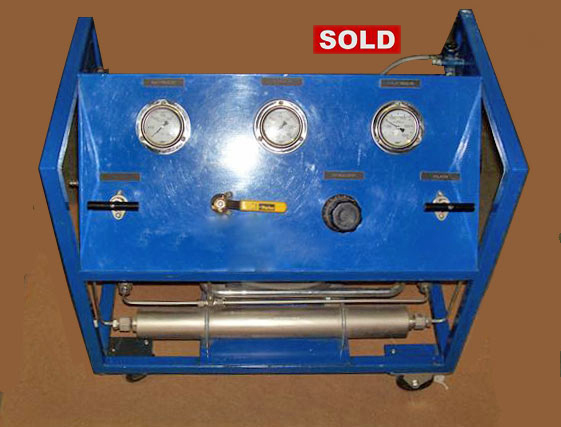 Compresses to 4,500 PSI for feed to storage cylinders. Designed for input pressure as low as 2 PSI (~ 5 PSI maximum) – eliminates loss of last 400-500 PSI when fed from gas cylinders. Locate in convenient location for gas feed to 2 or 3 gas assist setups depending on gas assist processing pressures. Completely through our re-certification process and ready for shipment. Only (1) 2-Valve Systems and (1) 4-Valve Alliance Gas Assist System Left! NitroJection ( Bauer ) Satellite UnitModel# NCU4-V2, 4-valve gas assist controller with pressure ramping, autopurge, real time trend graphing. Mfg. date 11-04. NitroJection ( Bauer ) Satellite UnitModel# NCU2-V2, 2-valve gas assist controller with pressure ramping, auto-purge, real time trend graphing. Mfg. date 04-04. 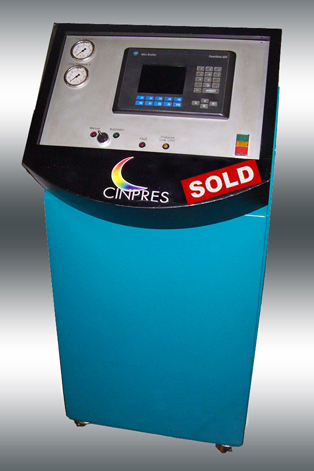 NitroJection (Cinpres) Satellite Unit, Model# NPU-MC-Type-2-Cinpres, full featured 2-valve gas assist controller with build in gas booster pressurization and integral hydraulic system for controlling rotary shutoff valves, valve gates, resin evacuation etc.! Allen Bradley SLC 500 PLC’s and control panel. Mfg. date 12-1999. 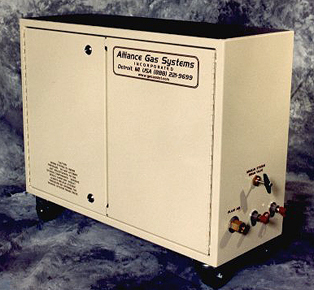 NitroJection ( AGS ) Satellite Unit, Model# LGC-1-2, Allen Bradley PLC’s and Operator interface. 2-Independent gas assist outlets. 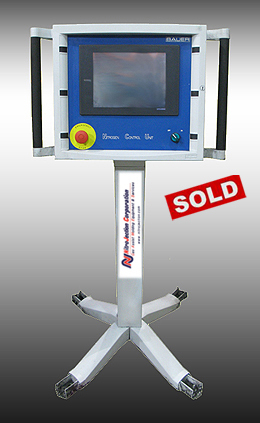 Includes autopurge (a recertification process upgrade) and original patented “FIRST” Technology. 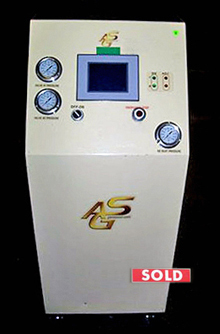 NitroJection ( AGS ) Satellite Unit, Model# LGC-8-2, Serial No. : 042LGC4989, Mfg. 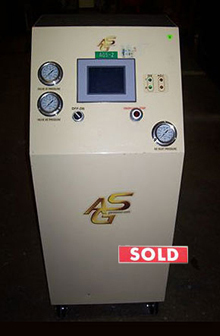 Date 07-02Specifications: Two outlet gas assist controller without integral intensifier. 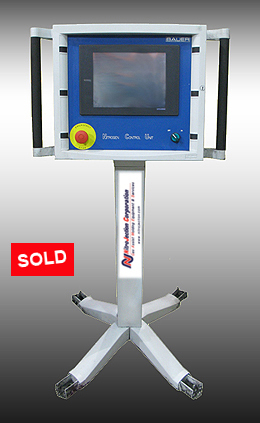 Automation Direct PLC and Koyo 6″ Color Touch Operator Interface. Spec’s: 2 Outlet controller, Max. process pressure 6000 PSI, PC Based controls, 24 Pin Connection to IMM , Auto Purge Feature included. 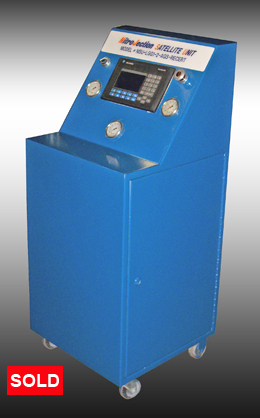 Controller requires 110 VAC power supply and a supply of high pressure incoming nitrogen from external intensifier or high pressure nitrogen source. Copy of original manual included. 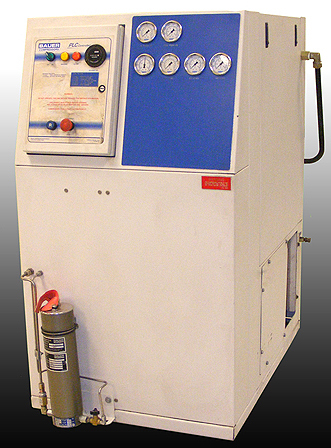 NitroJection (Bauer ) External Gas Booster System, Model#: NBS-1000 Serial No. :1691-1 Mfg. Date 02-00Spec’s: Portable auxiliary gas booster system for intensifying nitrogen pressure from gas cylinders up to 6000 psi maximum. Includes 36 cu. in receiver and MaxPro DLE75 Booster. Requires incoming nitrogen 325 psi minimum, and plant air 100 psi minimum. Original manual included.Other units available…call for more information, and check this page often for our latest system availability.